Hyundai Asia Resources, Inc., the exclusive distributor of Hyundai vehicles in the Philippines, aims to redefine the Filipino's motoring lifestyle by showcasing the Santa Fe in a nationwide tour. 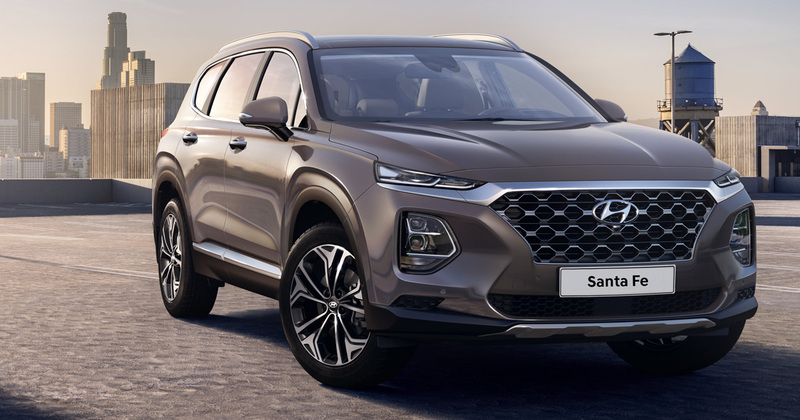 "The Santa Fe facelift is now re-engineered with a much-refined exterior styling, and offers two new engine choices: the R eVGT diesel-fed powerplant--the third-generation CRDi diesel engine technology in 2.2-liter displacement and the Theta II 2.4-liter gasoline engine," Hyundai Asia Resources said in a statement. The 2010 Hyundai Santa Fe comes in two-wheel and four-wheel drive variants (see photo gallery below). Click this link to view the entire Santa Fe lineup in our Buyers' Guide. Aside from getting a chance to check out the 2010 Hyundai Santa Fe, LiFe Changing Tour visitors will also catch the World Cup fever with Hyundai's FIFA-inspired activities and items found in the exhibit area. This follows Hyundai's celebration of the 2010 Hyundai Next-Generation Manila Cup Football Festival in May. Hyundai in Korea recently launched its One Million Dream balls for Africa, a program aimed at donating a million soccer balls to soccer players in Africa. 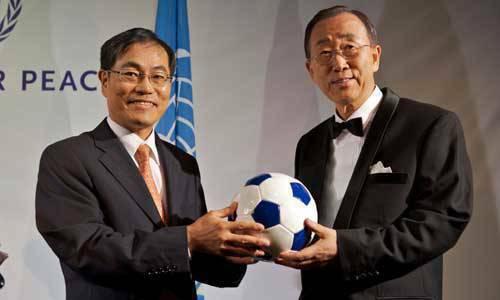 Hyundai Motor president and chief executive Steve S. Yang (left) hands over Hyundai's first Dream Ball to the Secretary-General of the United Nations, Ban Ki-moon during the 'Sports for Peace Gala 2010' recently held in Johannesburg, South Africa as part of Hyundai's 'One Million Dream Balls for Africa' project.